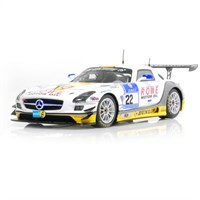 Minichamps 1:18 ABS model of the ROWE Racing #125 Mercedes SLS AMG GT3 which Michael Zehe, Mark Bullitt, Reinhold Renger and Marko Hartung drove in the 2013 Nurburgring 24 Hours. 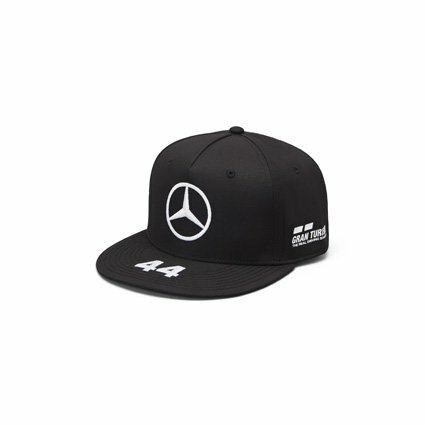 Minichamps 1:18 ABS model of the Black Falcon #1 Mercedes SLS AMG GT3 that Khaled Al Qubaisi, Sean Edwards, Jeroen Bleekemolen and Bernd Schneider drove to victory in the 2013 Dubai 24 Hours. 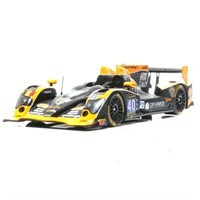 Spark 1:43 resin model of the Race Performance #34 Oreca 03 Judd which Michel Frey, Patric Neiderhauser and Jeroen Bleekemolen drove in the 2013 Le Mans 24 Hours. 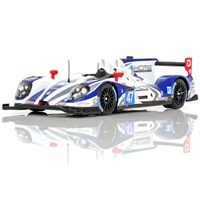 Spark 1:43 resin model of the Boutsen Ginion Racing #40 Oreca 03 Nissan which Matt Downs, Thomas Dagoneau and Rodin Younessi drove in the 2013 Le Mans 24 Hours. 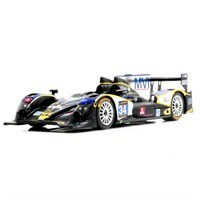 Spark 1:43 resin model of the DKR Engineering Lola B11:40 Judd which Olivier Porta, Stephane Raffin and Romain Brandela drove in the 2013 Le Mans 24 Hours. 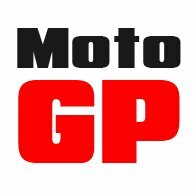 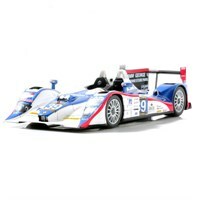 "Spark 1:43 resin model of the KCMG #47 Morgan Nissan which Alex Imperatori, Ho-Pin Tung and Matthew Howson drove in the 2013 Le Mans 24 Hours." 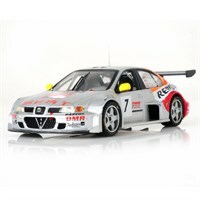 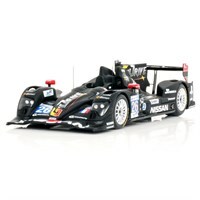 Spark 1:43 resin model of the #26 G-Drive Signatech Oreca 03 Nissan which Pierre Ragues, Nelson Panciatici and Roman Rusinov drove in the 2012 Le Mans 24 Hours. 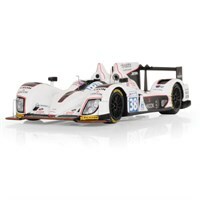 "Spark 1:43 diecast model of the #38 Jota Zytek Z11SN Nissan which Sam Hancock, Simon Dolan and Haruki Kurosawa drove in the 2012 Le Mans 24 Hours." 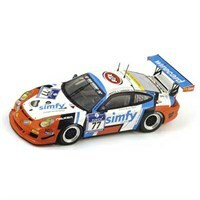 Spark 1:43 resin model of the #22 Porsche 997 GT3 Cup that Earl Bamber drove in the 2013 Carrera Cup Asia. 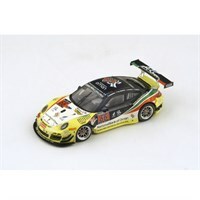 Spark 1:43 resin replica of the #19 Mercedes SLS AMG GT3 which Kenneth Heyer, Oliver Morley, Manuel Metzger and Stephan Rosler drove to 19th place in the 2012 Spa 24 Hours. 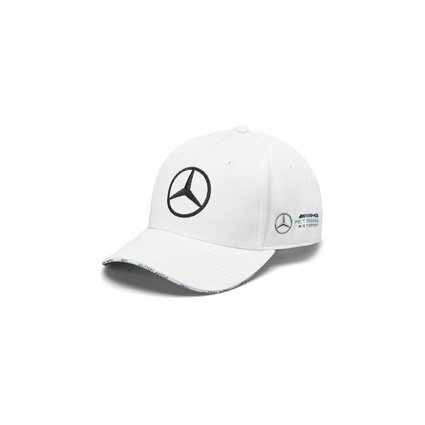 Spark 1:43 resin model of the Black Falcon #18 Mercedes SLS AMG GT3 which Adam Christodoulou, Thomas Jager, Steve Jans and Klaas Hummel drove in the 2013 Spa 24 Hours. 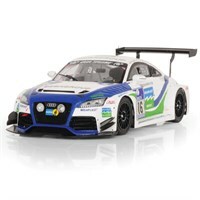 Spark 1:43 resin model of the #116 Audi TT-RS which Franjo Kovac, Martin Tschornia, Fredrik Lestrup and Kurt Thiim drove in the 2012 Nurburgring 24 Hours. 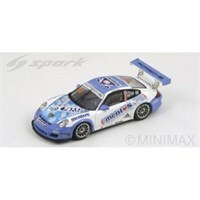 Spark 1:43 resin model of the Raceunion Teichmann Racing #77 Porsche 997 GT3 R that Jos Menten, Stefan Landmann, Stef Vancampenhoud and Forbes Rodney drove in the 2013 Nurburgring 24 Hours. 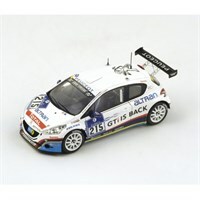 "Spark 1:43 resin model of the ROWE Racing #22 Mercedes SLS AMG GT3 which Klaus Graf, Thomas Jager, Jan Seyffarth and Nico Bastian drove to third place in the 2013 Nurburgring 24 Hours." 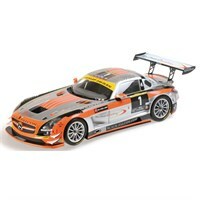 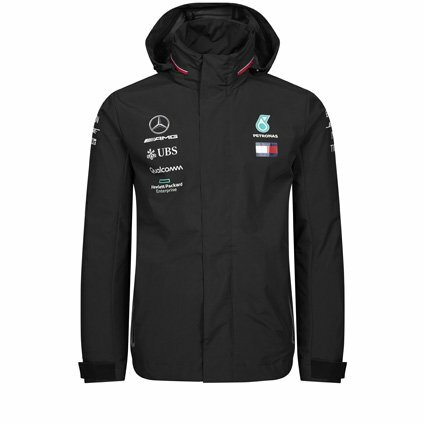 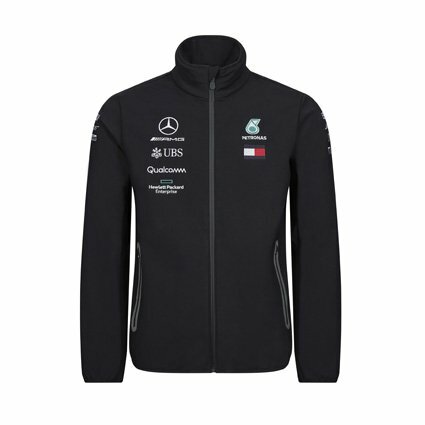 Schuco 1:43 diecast model of the #36 Mercedes SLS AMG GT3 which Max Mayer and Max Gotz drove in the 2011 ADAC Masters. 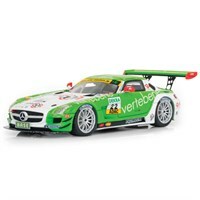 Schuco 1:43 diecast model of the #32 Mercedes SLS AMG GT3 which Dominic Baumann and Harald Proczyk drove in the 2011 ADAC Masters. 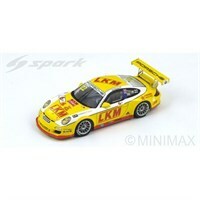 Minichamps 1:18 ABS model of the All-Inkl.com Munnich Motorsport #38 Mercedes SLS AMG GT3 which Marc Basseng and Markus Winkelhock took to the 2012 FIA GT1 World Championship. 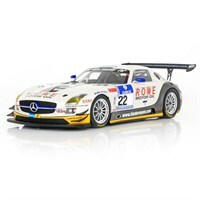 Minichamps 1:18 ABS replica of the #22 Rowe Racing Mercedes SLS AMG GT3 which Klaus Graf, Alexander Roloff, Thomas Jager and Jan Seyffhart drove in the 2012 Nurburgring 24 Hours.